Closing my eyes, I took a deep slow breath, grateful for the fresh air, the scent of earth and pine, and the profound peace only found within the forest. 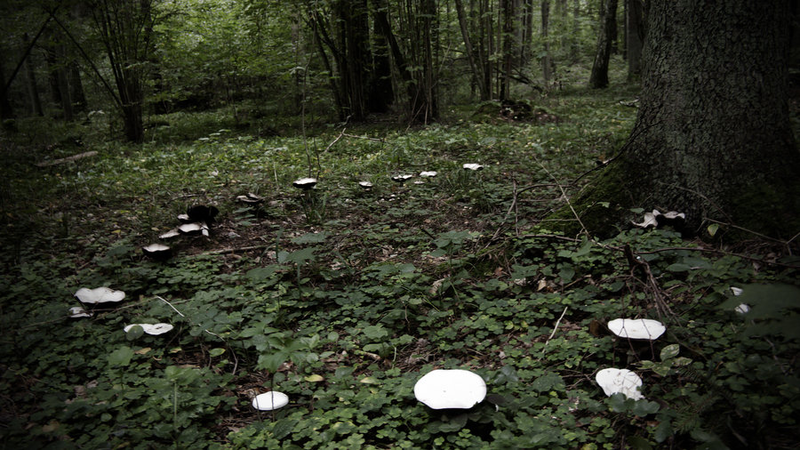 As I walked, my thoughts turned to local gossip and faery lore. 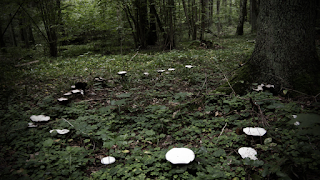 The townsfolk say the Fae frequent this forest, and if you are not careful, you might step into a faery ring and find yourself stuck in the faery realm, enslaved by the Seelie (or worse, Unseelie) to disappear from the human realm for hundreds of years, only to reappear in a world you no longer know. Since childhood, I've often wondered about the existence of faeries, and sometimes even my adult musings float towards the Fae. My imagination has been watered and fed by authors such as Tolkien, Laurell K. Hamilton, Kim Harrison, as well as lore and faery tales passed down through generations; tales which depict Fae as all different shapes and sizes, some even appearing human, or using their glamour to blend in with (or seduce) humans. Charming and suspenseful tales depicting forests, just like this one. I took in the thick trees and greenery, the solitude, the dimness and shadows created by filtered light, and I couldn't help but agree that this forest would be the perfect home, or perhaps a gateway for the Fae. Scoffing at my thoughts, I shook my head at my silly musings. 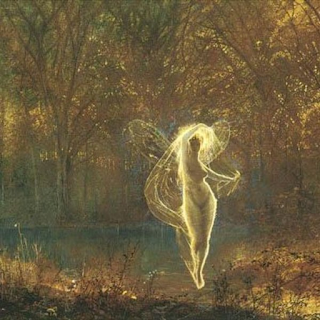 The Fae, what they look like, and whether a faery realm really exists, is all speculation and faery tales. Shaking off my foolishness, I returned to the present, and the welcoming sound of rushing water. I was delighted to find that my wandering brought me to a flowing river with a small waterfall. Walking to the edge, I admired water so clear that I could see right down to the sandy bottom. I found a nearby boulder to sit on as I appreciated the healing that water always brought me. In silence, I watched the crawdads and minnows. I admired the graceful movement of the brilliant green moss dancing beneath the water, and I listened to the birds singing, the breeze whispering through the trees, rustling the greenery, and causing the gentle giants to creek as they swayed with the wind. 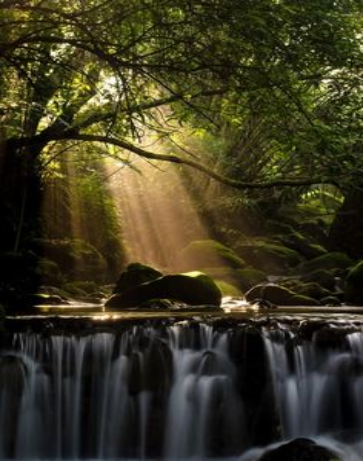 I appreciated the ethereal beauty of the sun rays breaking through the forest's umbrella, creating beams of golden light. Mother Nature sure knew how to make a girl feel blessed. In gratitude, I soaked it all up, as all my troubles disappeared... and that is when I saw her. **Readers, this little tale is purely fiction, inspired by the yearnings of the forest I left behind when I moved from a small town in the mountains, to the suburbs in the desert. DISCLAIMER: I do not take credit for these photos. All photos and artwork were found online; no credit for the artist and photographers was given; they remain unknown.